It’s not very often you hear a senior company executive get excited about how staff are spending less and less time in the office. But that’s precisely the case at Duncan Family Farms. 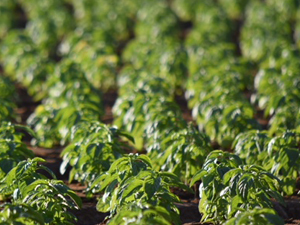 The Buckeye, Arizona-based vegetable and fruit operation, deployed a new software platform a year ago that has transformed clunky, time-consuming processes into streamlined, automated workflows that boosted productivity, improved decision-making, and empowered staff. As a result, Duncan’s field team is spending less time in the office because they can capture data and complete tasks right in the field using their mobile phones at the time the event occurs. “Instead of leaving the field, going back to the desktop in the office, entering the information — and sometimes that Excel document would be locked because someone else was using it, so you’d have to come back — our new system not only saves hours, but also helps us build more consistent routines,” said Sean Duncan, a fifth-generation family farmer and the company’s Director of Supply Chain. Time saving is “the most concrete and direct benefit” of Duncan’s decision to integrate Trimble Ag Software’s complete farm management software solution across all aspects of its operation. They use the platform to track customers, manage customer data, implement the planting and harvest schedule, and oversee inventory. It includes several customized features developed to meet the unique needs of Duncan’s operation, such as providing real-time calculations of ‘required commitments’, which provides a weekly breakdown of amounts of each commodity required for delivery. This information is used to back-schedule planting schedules in order to meet weekly commitments. Once the planting schedule is set, seeding applications are established in the office and then shared to workers in the fields via the mobile app. Trimble Ag Mobile is also used to track irrigation, fertilizer applications as well as other inputs used during the growing stage. Additional ‘bin transaction’ customization developed by Trimble engineers comes into play after harvest, when the field team uses the mobile app to create and communicate IDs for each commodity harvested and on its way to logistics. This allows the logistics team to track produce harvested at the time it is received and prepared for delivery. Automated emails are sent to the office team each time a bin transaction activity is entered. Lynn Godman, Trimble Ag Software’s account manager overseeing Duncan Family Farms, said the input and collaboration from the Duncan team has been a major contributor to the overall success. Duncan’s first milestone in the Trimble Ag Software deployment was to replace its existing points of data capture, which meant overhauling the planting schedule. This is probably the most obvious and impactful benefit felt by the entire team, said Duncan. In addition to streamlining that came with the new workflows, the customization Trimble added shaved hours off Duncan’s previous workflow. Going mobile has also made a huge difference in the daily workflows, especially out in the field. One of the key reasons Duncan’s team chose Trimble was the platform’s broad capacity to capture not just current and ongoing activities, but also its ability to compare actual tasks completed to planned tasks. This gave the team a greater opportunity to run scenarios and compare outcomes, explains Duncan. Prior to the Trimble Ag Software deployment, a lot of the information Duncan was capturing on its crops was for compliance and food safety purposes. However, on the old system this data wasn’t readily available to the team and, therefore, couldn’t be fully leveraged. Change management can be one of the greatest challenges facing businesses today. As Duncan began rolling out the new processes enabled by the Trimble platform, Pharris said she was excited to see the team’s positive response. For more information ‘Take a Tour’ of Trimble Ag Software and find the offering that’s right for your farm!